Do you enjoy online poker tournament action in which every player has a bounty on their head and you win money by knocking them out of the event? 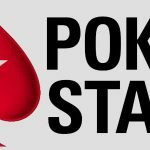 Then you’ll love the action at PokerStars where Knockout Week begins today, October 12, and runs the entire week through the 18th. 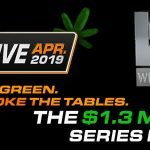 A whopping 35 events featuring $5 million in guaranteed prize money is up for grabs, and that doesn’t include the money to be won by knocking players out! The action for the next seven days consists of Knockout, Super Knockout and Progressive Super Knockout tournaments, with entry fees from a paltry $11 on up to $1,050 for the Thursday Thrill Special Edition on Oct. 15 that features a $500,000 guaranteed prize pool. The series’ Main Event takes place on Oct. 18, also with a $500K guarantee, but requires a buy-in of only $215. You can actually come out ahead and profitable in Knockout events without making it past the bubble and reaching the payout slots. Just knock enough players out and collect their bounties and it’s like money in the bank! However, knocking out your opponents gets you their chips, so you can come out ahead on both fronts. By taking bounties and navigating your way through the field of players, you may find yourself with bountiful amounts of cash! 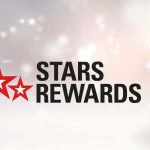 As if the bounties and prize pools weren’t enough, PokerStars is sweetening the pot by offering Knockout Week Challenges that give you the opportunity to win up to $5,000. If you happen to knock out two players in the same hand, you are eligible for an instant reward anywhere from $5 to $5,000. Think it’s too tough to knock out two opponents in the same hand? Well then just knock out two players at anytime in any of the 35 events during the week to become eligible for a daily instant prize from $1 to $1,000. Savvy players may have money coming their way from every direction during Knockout Week – from bounties, the daily and weekly challenges, and finishing in the money! Another shot at boosting that bankroll comes in the form of a Knockout Week Leader Board that is based on the number of players KO’d. The more players you knock out during the week, the higher your position on the leader board. Just knock out two players during the week to land on the leader board and receive a ticket to a massive $10,000 freeroll to be held on Sunday, October 25 at 14:00 p.m. ET. 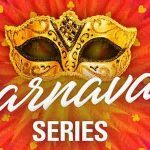 The freeroll will consist of $5K in prize money and another $5K to be won in bounties. The cool part of the event is that the starting chip stacks as well as the bounties on the heads of players will be determined by their rank on the leader board. Everyone with a free ticket starts with at least 3,000 in chips, but that number escalates according to leader board position. The top 1,000 leader board finishers all have a bounty on their head, anywhere from $1 to $100. That sounds to me like tons of fun – as does the entire week – and it all begins today! 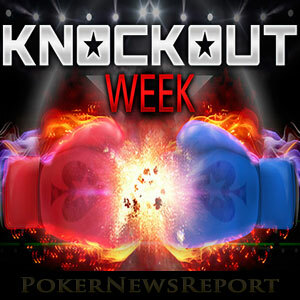 Don’t miss Knockout Week at PokerStars!